Hello to all my visitors. Today I am in a jolly mood, and so thought of having some fun with all my visitors. A couple of days back, my mom cooked up something and sent the pics to me. The pics courtesy my little sister, this she told me to specifically mention on my post when I upload the photos. There was coterie at my home in Kolkata and so mom prepared this. The review that I got from all those who attended the party, was that the preparation was very innovative and very very delicious. The task for you today is to guess what actually is the dish made of. There are two main ingredients in the preparation and it is purely vegetarian dish. So put on your thinking caps and start tickling your imagination. I’ll put up the recipe tomorrow. Till then keep guessing. No more thing, for those who guess it correctly there aren’t prizes to win. It is only to understand yourself how well you can imagine and distinguish the ingredients in your fridge and kitchen. whoa evryone guess right …am very bad i had no clue what this was till i saw the prev recipe! 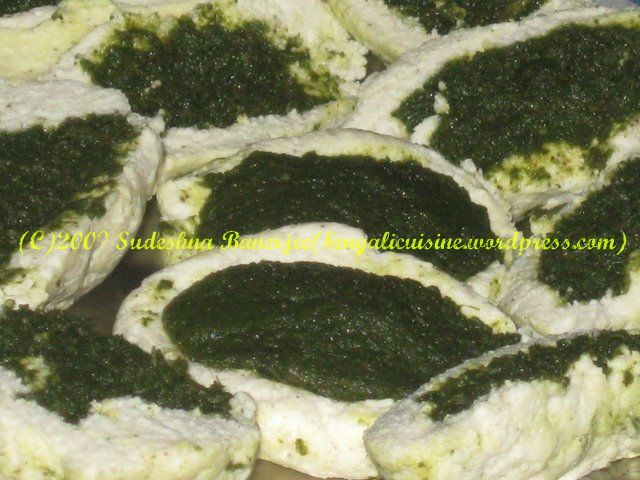 Its looks like spinach puree stuffed in paneer pieces…looks creamy n delicious.. 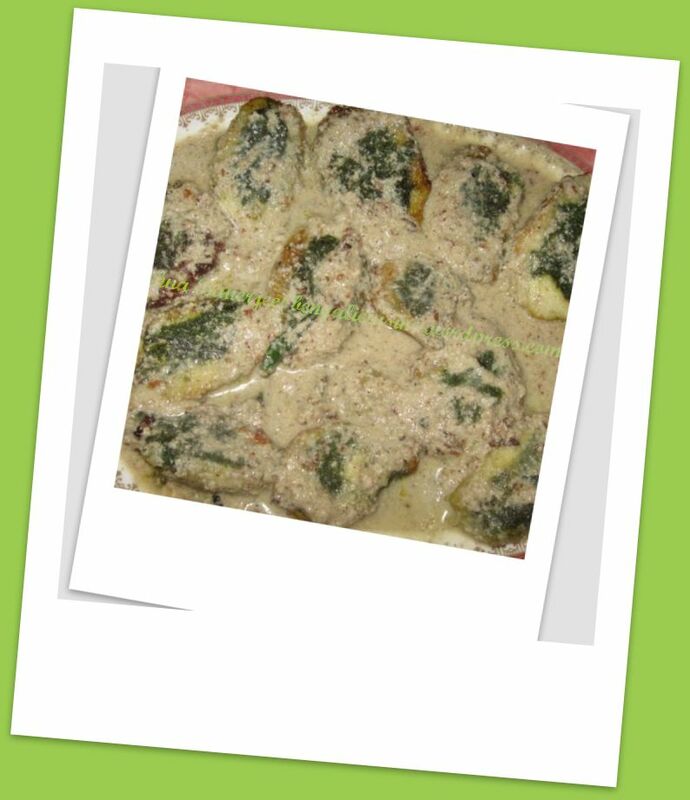 I too thought the same – paneer and spinach rolls in kofta gravy? Ummm….that sounds delicious! ok..its spinach and cottage cheese??!! !